"Hello My Name Is OSI-EFA ADEDOTUN, I Am 15 years Old From Epe In Lagos - State. I Am A Student Of Kaydel Comprehensive College In Ikorodu, Lagos. I Also Own A Sport Blog I Update Daily But This Post Isn't About My Blog And I Don't Want Nairaland To Think Am Spoiling The Forum. 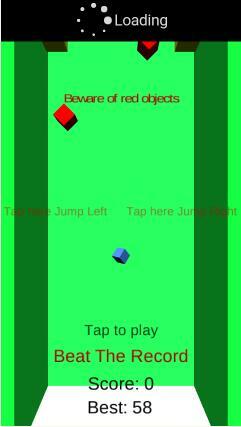 I Developed Cube Sprint Sp In 2016 But Have Struggled Hard To Publish It On The Play store Myself So I Decided To Move It To Nairaland Which I Know Will Help Me Reach People Who Wouldn't Mind To Try My Game."